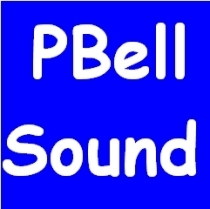 At PBell Sound, we believe in providing the finest equipment, designs and service possible. We listen to the client’s needs and wishes and offer the best solutions to satisfy the requirements. The latest in digital processing, loudspeaker, amplifier and electronics are utilized. Gone are the days of analogue crossovers and equalizers with their lobing errors and phase cancellations, imperfect RTA readings and guesswork. Today’s modern professional sound installations are engineered from the drawing board up to be a precis system properly interacting within the environment designed for while providing clear, intelligible program without causing fatigue. The integration of digital control and system testing/setup assures perfect adjustments thereby eliminating the need for constant “tweaking”. Unlike yesteryear’s analogue compressor/limiters, DSP controllers provide perfect, silent limiting in the digital domain. Go ahead: Let your DJ run the mixer in the red. DSP control and limiting silently protects your system, woofers, amplifiers and wallet. Our favorite products are McCauley Sound loudspeakers, for those extreme, high output bass applications.McCauley Sound is a worldwide leader in the design and manufacture of professional loudspeakers and loudspeaker solutions. McCauley Speakers are 100 percent American made just south of Seattle, WA. From the casting and machining of raw baskets to a complete CNC cabinetry shop, it’s all done in house under the watchful eye of Tom McCauley.